Cafe Casablanca Zeedijk is the oldest and most famous jazz club in the Netherlands. 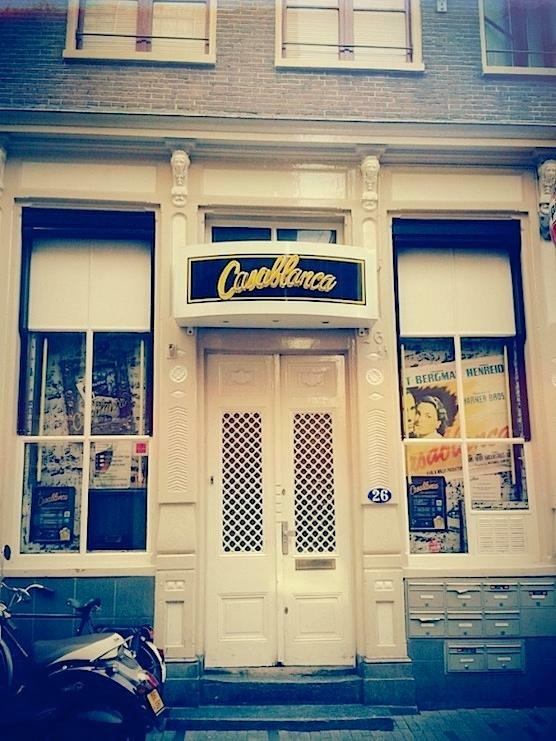 Many jazz legends have stood on the stage here and even today sounds of renowned artist can be heard in Cafe Casablanca Zeedijk . These days however it also functions as a late night Karaoke bar! You can stand on the same stage where Jazz legends like Kid Dynamite, Teddy Cotton stood and sing your heart out! 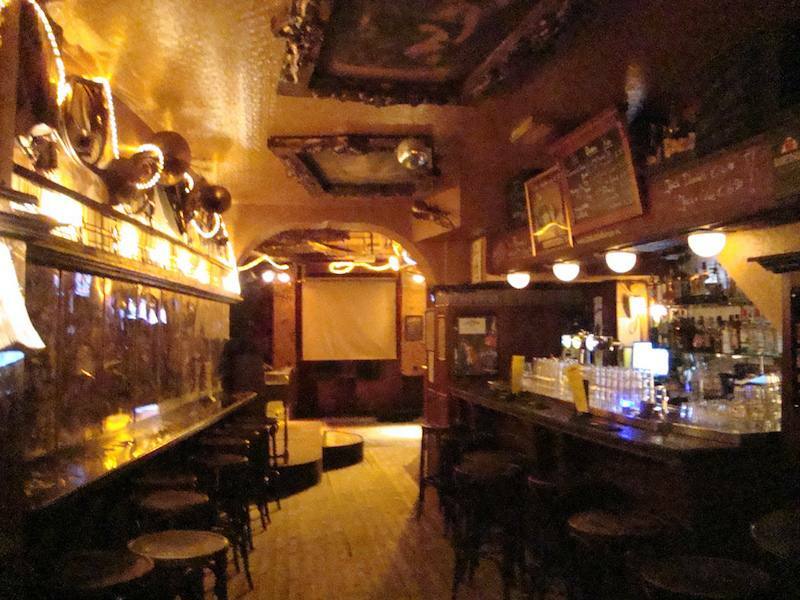 Casablanca is the most famous karaoke bar in Amsterdam so expect to meet a lot of locals when you are there. The cafe always has a good mix between male and female partygoers when we visited the place. It’s one of our favourite places to go to just to have a fun night out where everybody doesn’t take themselves too seriously! Even if you are not into the whole Karaoke thing you can still have a blast in cafe Casablanca Zeedijk! The bar and the dance/ sing area are sepperated quit nicely from each other so you can have drinks away from all the madness in the back. If you are up for some singing and have a favourite song that you’d like to belt out, you can checkout the entire song list that they have over here. Yes, they do have Whitney Houston for if you want to go all out. 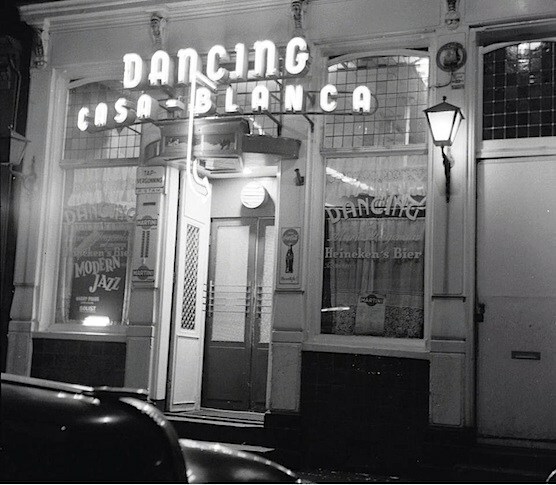 This is what Amsterdam’s cafe Casablanca Zeedijk looked like in 1960. This place is open from Monday trough Saturday you can sing and dance at the cafe, on one of the oldest streets in Amsterdam. When a band plays there the Karaoke will start after the band around 11:00 pm. If you want to be a 100% sure before going there you can check out their agenda here.